I’VE ALWAYS ADMIRED THE TENACITY and word-skills of the poet Marianne Moore (1887 – 1972). Grouped into the Modernist Movement with Pound, Williams, Stein, Stevens, T.S. Eliot and others, Moore carefully sculpted a life by nurturing a razor sharp wit. She also found a balance for her sensibilities about relationships, and crafted ideas of how she wanted to present and even propagate her “insight and sympathetic ways” (Moore, SL 35) to the world at large. She worked hard at her writing, producing over 30,000 letters, which doesn’t include her articles and poems extant. At the age of twenty she came to the conclusion, “I want to write,” and “shortly I will have something to say” (SL 40). In part, Moore found sustenance for her balanced wit, and much of her “insight” in the aesthetic of The Dao. The Dao, also called The Tao, The Way, The Path, or Zen (in Japan), encourages the artist to develop a “wide and keen observation, eventually to find in enrichment of the spirit, the secret of the rhythm of nature” (Sze 18). This was a perfect marriage for Moore’s burgeoning sensitivities that grew out of her early desire to “scrape sparks from the ground, from the mere excess of animal spirits” (SL 39). The Dao offered another framework, not necessarily to replace, but to enhance her American/Western tradition. Born into a society where women didn’t vote, or legally own their own bodies, Moore reached out to the Eastern tradition to feed her meditative spirit. Like the virgin Queen, Moore remained single, yet celibate—married to her art. Her mother was her mate for life (Leavell). Moore sensed in China, “a cultural superiority to Europe itself,” and justified this as many Westerners did, and still do, “because of China’s historical longevity” (Stamy 5). Like her predecessor, Emerson, Moore moved the “struggle for American definition to another and, for her, a superior site” (Stamy 5). At Bryn Mawr, a Quaker school, Moore was encouraged to meditate on her inner light and the beauty of God’s creation: Nature. These sensibilities did not discourage Moore from investigating likewise philosophies. In “He Made This Screen,” Moore experimented with her imagist ekphrasis. In lieu of a narrative, she described a piece of art. It’s as if she were circling the dragon, trying to free her style of writing. 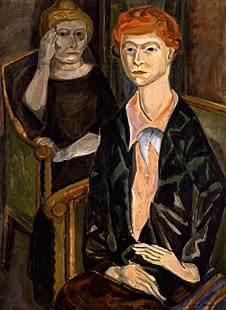 Her Modernist leanings were apparent—the image is the thing, but she fell back on meter and rhyme. but of weather beaten laurel. In her poem written almost forty years later, “O To Be A Dragon” (CP 177), Moore was still circling the space, but had switched gears. 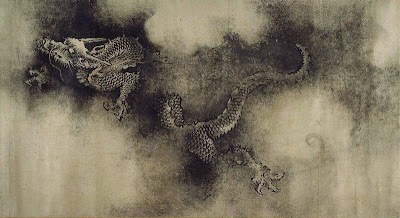 Moore wanted to not just circle, but become the Modernist Dao Dragon, which for her was the “symbol of the power of heaven.” She wanted to become one with the space now enlarged to the “totality of heaven and earth” (Qian 182). The Dao invigorated Moore’s mind throughout her life. In her late 60s, after receiving her book set of The Tao of Painting and The Mustard Seed Garden Manual of Painting, ancient texts by Chieh Tzu Yuan Hua Chuan, and translated by Mai-Mai Sze, Moore wrote to the publisher, John Barrett, “You cannot imagine my excitement in possessing these books […] it “is pleasure enough for a lifetime” (qtd. in Qian 168). 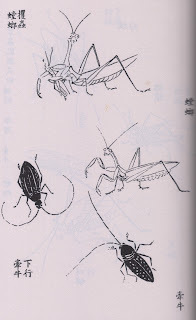 (Sze 320) Her romance goes further into the realm of passion in describing how she “passionately admires […] – an insect-and-frog picture,” even suggesting that if she were in a mental decline, “Volume I of the Tao would, I think, help me to regain tone” (qtd. in Qian 169). Not an idle statement for someone who never met her father because he was institutionalized for a “nervous breakdown” before she was born (SL 3). Moore identified a space in which she could live and create, but most importantly, feel good about life, as if the Dao kept her sane. Always a good thing in troubled times: Sanity. Leavell, Linda. 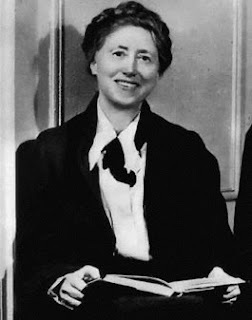 Marianne Moore, the James Family and the Politics of Celibacy. Twentieth Century Literature. vol 49: 2. Hofstra U, 2003. 219. Moore, Marianne. Complete Poems. New York: Penguin Books, 1994. —. Marianne Moore: Selected Letters. Bonnie Costello (ed) New York: Penguin Books, 1997. History 17.1. USA: Oxford UP, 2005. http://muse.jhu.edu.ezproxy.uno.edu/journals/american_literary_history/v017/17.1pollak.html 18 Nov 2006. Qian, Zhaoming. The Modernist Response to Chinese Art: Pound, Moore, Stephens. USA, U of Virginia P, 2003. Stamy, Cynthia. Marianne Moore and China. USA: Oxford UP, 1999. Hua Chuan, 1679-1701. New York: Princeton Univ. P, 1977. White, Heather. Moral, Manners, and Marriage: Marianne’s Art of Conversation. 1997 http://www.library.yale.edu/beinecke/orient/mod10.htm 10 Oct 2008. Prev Post: GODDESSES, WHORES, WIVES, & SLAVES: The Archetypal Roles Assigned to Women in Theatre. Part 2: Women Write Plays, Too! My name is Lauren. I am Ron Sperling’s assistant. We just heard about Roger. We are truly sorry for what everyone is going through. My father had cancer, so I can empathise with you and your family. Please email me if you can so I can keep Ron updated. He is deeply concerned, and wants to do a tribute for Roger. lauren@vgctv.com thank you for you time. Our wishes are with Roger, you, and your family!